The saving Haiti Special was really good last nite. I liked that it was new material and not a re-hash like most 360 specials are. I also thought it was a good way to end 360's time in Haiti. The coverage on 360 these past two and a half weeks has been great. Anderson is truly at his best and in his element when in the field. 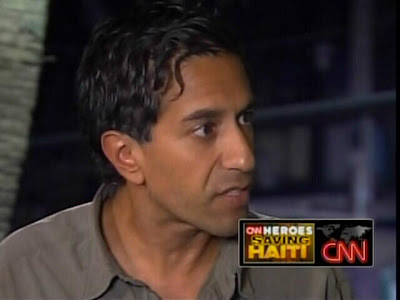 Sanjay's been doing an excellent job down there, reporting and saving lives. Gary and Karl Penhaul have been filing some great reoprts as well. And I can't forget the crew. If it wasn't for them we wouldn't have had the excellent reporting we did have. 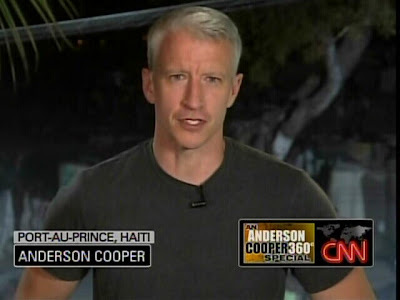 Seems like an appropriate time to mention this, with Anderson so visible now right after his work in Haiti. I saw an ad today at AMC Theaters about an upcoming movie appearance with O'Reilly and Beck from Fox. 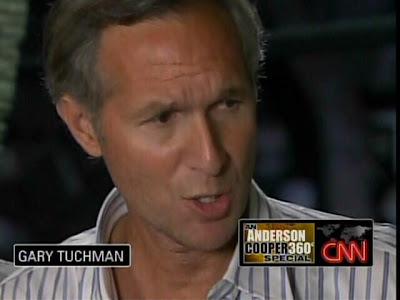 I remember the movie spot from years ago introducing Anderson and AC360. It was good--kind of funny and original, and AC looked great on the big screen. It would be interesting to see him again at the movies, maybe promoting aid for Haiti. He's a very persuasive spokesman. I agree, Em, that the Special was worth the wait. But I'm still mad at whomever at CNN in their infinite wisdom decided not to air it Friday night. 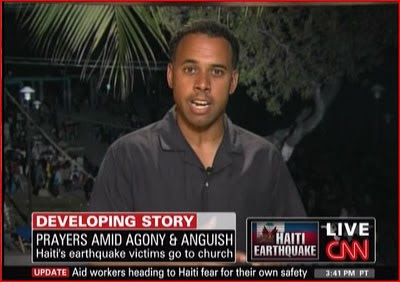 After 2+ weeks of Haiti coverage it would have been the perfect way to end the week. Given the past record of 360, I guess we should just be glad it aired at all! I thought all the stories were well done and I especially liked the way it ended with Gary, Ivan, Sanjay and Anderson reflecting on their heroes in Haiti. I will miss the "CNN Men" Chats now 360 is back in the studio. I hope they make good on their promise to return to Haiti in the weeks and months ahead to keep focus on this story that certainly won't end any time soon. I think we need to keep site of the fact that more Americans were killed in the Haiti earthquake, than were killed on 9/11! I was happy to see Gary Tuchman's "tweet" tonight that he is headed to Colorado for a follow-up story on one of the orphans he met in Haiti, who is now living in CO with his new mom. Gary said the story would air on 360. Anderson, Ivan, Gary, Sanjay and countless others did extraordinary work these past 2+ weeks. Not to mention those behind the scenes in supporting roles. They deserve many thanks. Em, Glad you included Susan Candiotti and Soledad in your clips. Love the last photo with Soledad and the baby. You can tell how maternal she is, having three of her own. The "Haiti Special" was opposite the Grammys here on the east coast so I'm quite certain this impacted its ratings and not for the better. 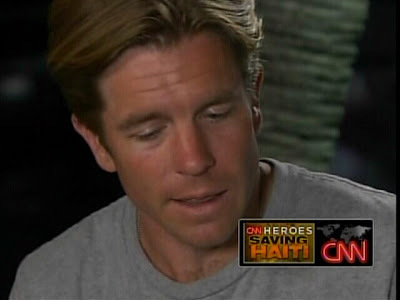 I know some of you don't care for Ivan, but he's done some good reporting from Haiti and you can't forget the female correspondents - they count too ACAnderfan. 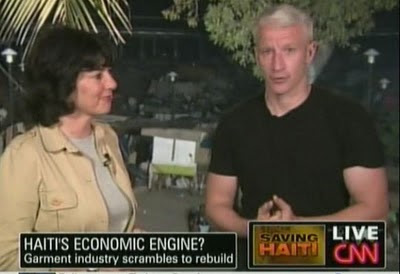 So CNN/360/Anderson are focusing on Haiti NOW, but how long will it last? Look at the promise they made to the Gulf Coast and NOLA, they haven't kept it and I doubt they will keep this one once the next big story comes along. 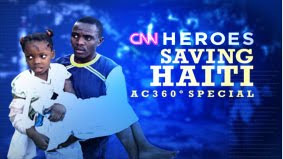 Unless one of my favorite reporters substitutes-unlikely since it's never happened-I won't watch 360 until Anderson returns, but "Morning Buzz" on 360 blog still has most stories devoted to Haiti. I thought most of the Haitian coverage was excellent, and was totally in favor of AC and the show focusing on it for three weeks, but now it is time to move on. Anything can be taken to extremes, including wonderful humanitarian work from the same location, and 360 has a reputation for going overboard. Most viewers won't keep tuning in indefinitely, and how much will the coverage accomplish if only small numbers are watching? @Wonz, Just wanted to say I agree with you on not airing the program Friday. I can only assume that they didn't get the production completed...something I'm very used to in my job. That being said, 360 has developed a bit of a rep among regular views for over promoting specials or interviews that never materializes. In this case, I am glad they did air this program. It would have been terrible if they had promoted another week in Haiti and then basically walked away on Wednesday night. I'm not certain where this will lead or how much time will continued to be devoted to Haiti. Unfortunately, it is a ratings game and viewers seem to have a short attention span. 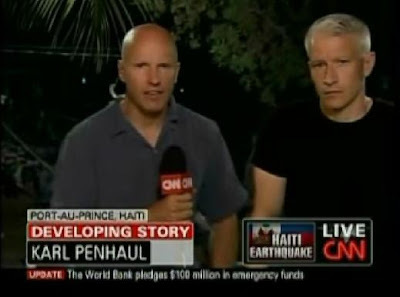 I do know Anderson had done a number of reports on Haiti prior to this incident so I am hoping he is able to keep us updated.  @Anonymous 12:11pm, I was merely mentioning the reporters whose pieces I enjoyed the most. They are the ones I really paid attention to. There is a bigger story now folks and it's called Toyota. I have a Lexus and though I've had no trouble with it, I'm leary about where I go. Thursday I have an appt. for an oil change and I was told it would be an hour and a half and they are answering NO questions about this problem. Now is the time for real investigative journalism. Luckily I own my car, but what about all those who lease it or have loans? And is this a quick fix or will it really do the trick? There are 5 million Toyotas on the road and as far as I'm concerned, "They are unsafe at any speed." Where is Ralph Nader when you need him?? I got 20:27 on the puzzle it was very confusing with all the darkness and all that blue. but I think my score is pretty good for doing the puzzle without my glasses on. I hope Anderson will be on tonight. 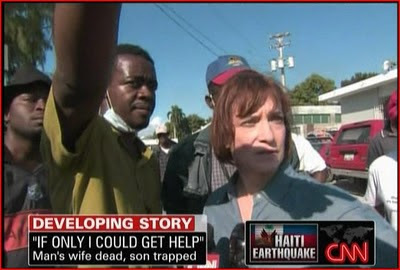 I wonder how he's doing after seeing all that he saw in haiti those 2 weeks.